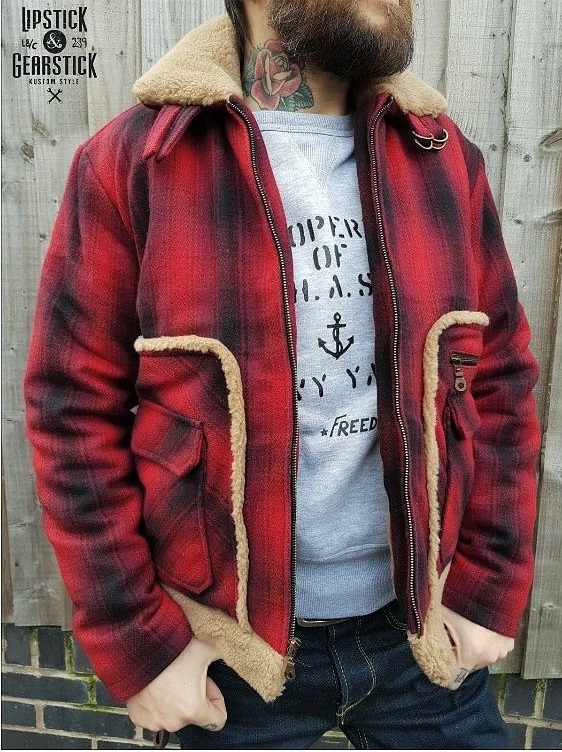 Don't be despaired of frosty temperatures: This cool checked jacket will keep you warm regardless of the weather. You won't even feel the cold easterly due to the tightly woven wool fabric and the thick, soft lining made from teddy-bear-cloth. 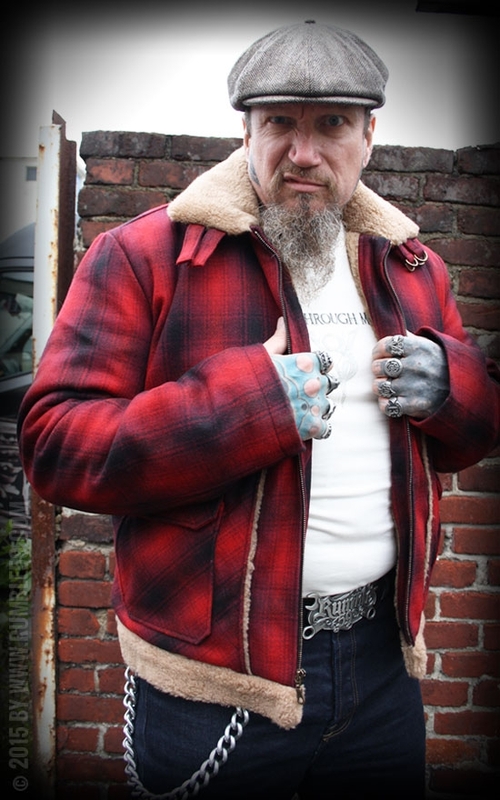 Be prepared with this awesome lumber jacket and grap it now. 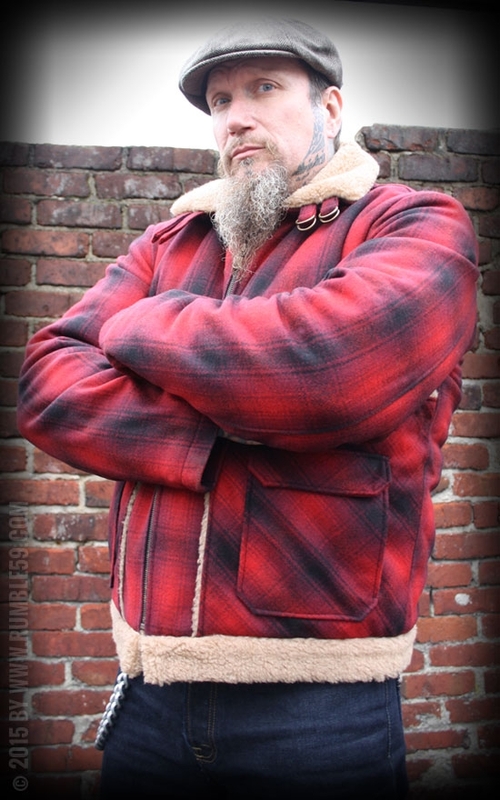 Authentic 50s red/black checked jacket lined with thick teddy-bear cloth. 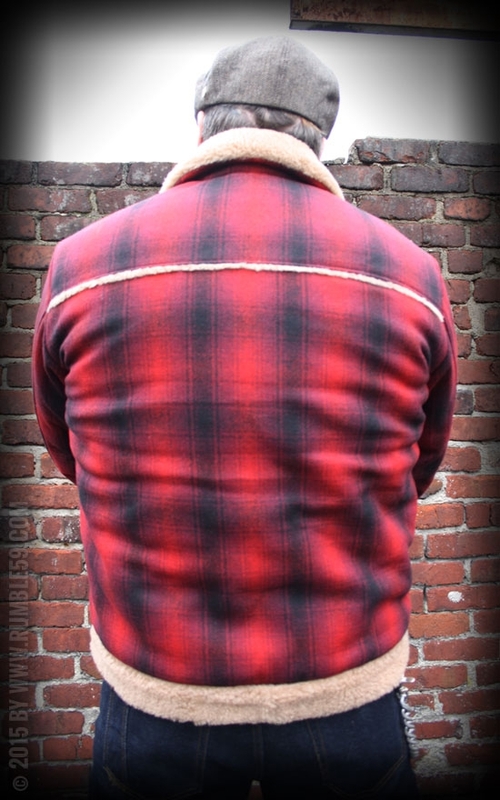 The winter jacket convinces with the tightly woven checked wool fabric and of course the authentic 50s cut. 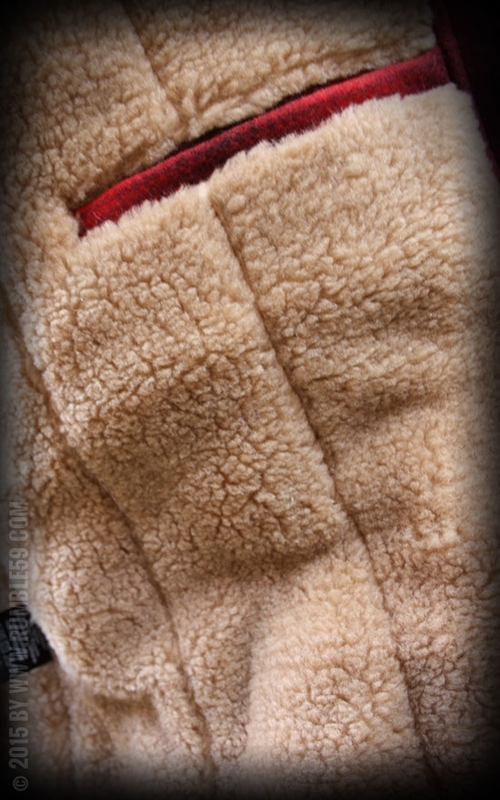 The high-class workmanship and the extra thick teddy-bear cloth lining leave nothing to be desired. 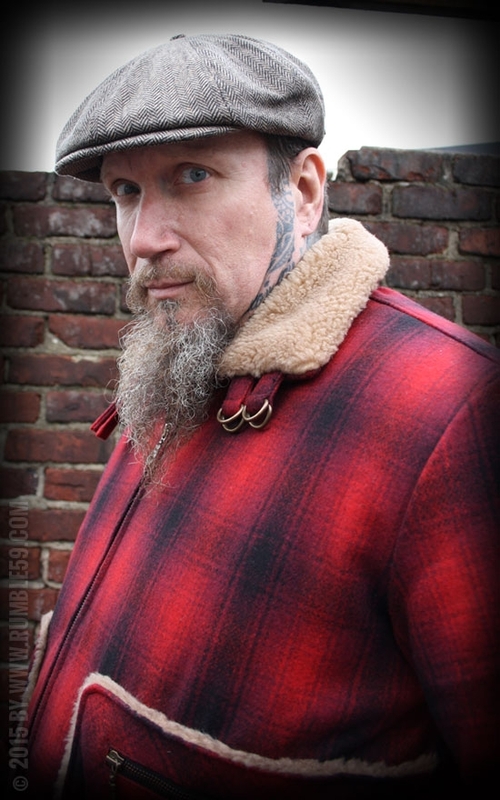 This jacket is checked in three colours and lined with soft, beige teddy-bear cloth. The collar from beige berber fleece could be turned up like a turtleneck. It could be closed by two bars as a perfect protection against cold. The seams at fore- and packpart are decorated with small pipings of teddy-bear cloth. 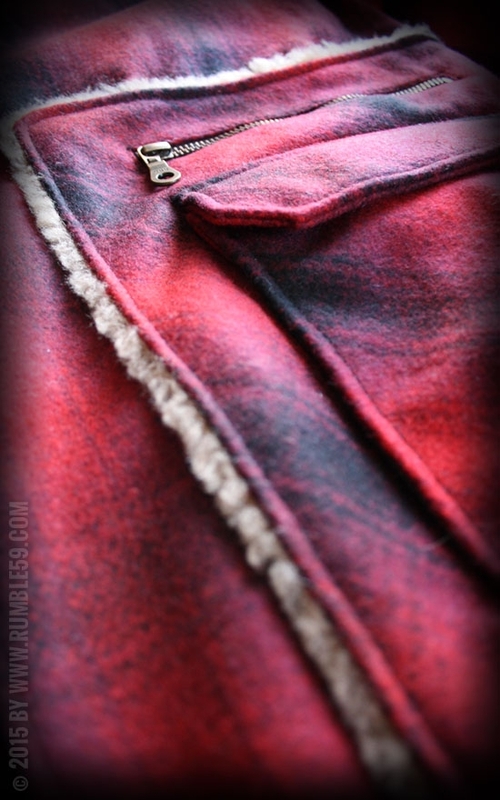 This checked jacket has also berber fleece at hem and could be closed by a zipper. Several pockets are responsible for enough storage space: Two big pockets with flaps - including a mouth of pocket at the side and the top -, a zipper pocket as well as two inner pockets. Winter, ready to rumble? Info: For the perfect size please take a look at the size chart. 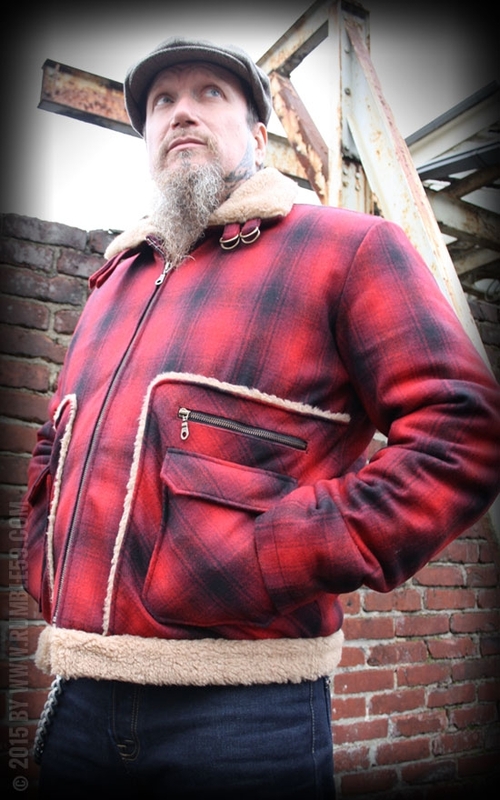 Rumble59 offers a great choice of cool and warming 50s winter jackets! This great winter jacket Dakota is useful and cool at the same time.